​Julie Morales has more than 22 years of experience in applied social science research, program evaluation, research design, and statistical methods. Her areas of expertise include the design and implementation of human services program evaluations and the provision of programmatic and evaluation technical assistance. She has provided evaluation technical assistance to states, tribes, and human services organizations receiving grant funding from the Health Resources and Services Administration, Administration for Children and Families, Substance Abuse and Mental Health Services Administration, and Children’s Bureau. At JBA, Morales currently serves as project director and senior tribal liaison for the Tribal Evaluation Institute supporting tribal home visiting grantees in the areas of evaluation, performance measurement, continuous quality improvement, dissemination, and data systems. 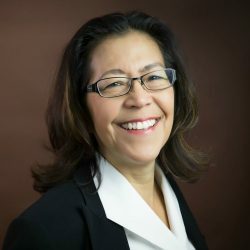 She also serves as a coordinator for the Multisite Implementation Evaluation of Tribal Home Visiting and as a tribal liaison for the Children’s Mental Health Initiative National Evaluation. Morales received a Ph.D. in child psychology with a concentration in applied developmental psychology from the University of Minnesota.